One of the most common types of small businesses in the U.S. is a single-owner business called a "Single-member LLC." A single-member limited liability company (SMLLC) is a limited liability company (LLC) which has one owner. A single-member LLC is a business entity registered in the state where the company does business. The term single-member is a recognition that the LLC has one owner, and that the owners of an LLC are termed "members." As a limited liability company, the single-member LLC has all the advantages—and disadvantages—of all limited liability companies. Two main activities make an LLC owner different from the owner of a corporation. The owner of an LLC doesn't get paid a salary; he or she isn't an employee. Instead, the owner takes money out of the business as needed for personal expenses. The LLC owner puts money into the business as needed, by making a capital contribution from his or her own personal funds. The SMLLC is now a separate business entity from its owner. It is no longer attached to and identified with the owner for tax or liability purposes. The SMLLC is recognized as a legitimate business, with the required "LLC" included in the business name. To form a single-member LLC, you must go to your state's department of state (business division) to obtain information on the process, including filing Articles of Organization (or a Certificate of Organization in a few states) and paying a filing fee. After filing this state business registration, you should consider also preparing an operating agreement (similar to by-laws for a corporation), to spell out how you will run this business. An SMLLC is the most common type of disregarded entity, which means that the business is disregarded from its owner for income tax purposes, which means that the owner files a Schedule C as part of the owner's personal tax return. But the SMLLC is treated as a separate entity for the purposes of paying employment taxes (if the business has employees) and certain excise (use) taxes. More information on this issue is available in this article: Tax and Liability Issues for Disregarded Entities. Single-member LLC's are subject to several different kinds of federal and state taxes as a business entity. These taxes are the same as paid by other types of businesses, but the method of payment is different for the SMLLC. Federal income tax. As noted above, because an LLC is not taxing entity, the IRS has designated that single-member LLC's are to be taxed as sole proprietors. A single-member LLC thus reports business income taxes on Schedule C. The net income from this business is combined with other income on the owner's personal tax return. Self-employment tax. Single-member LLC owners, like sole proprietors, are considered self-employed and are not employees of their business. 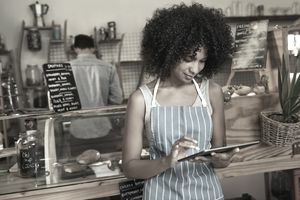 As self-employed individuals, single-member LLC owners must pay self-employment taxes (Social Security and Medicare taxes) each year, based on their net income from the business. Single-member LLC's need an Employer ID Number, even if the business has no employees. Most banks require an EIN to open a business bank account. If your single-member LLC is a disregarded entity (as explained above), you should use your personal tax id (not the EIN) when completing a W-9 form as an independent contractor. Find more information on single-member LLC's and tax ID numbers.